Prima Tooling Brochure showing our full range of standard tooling. 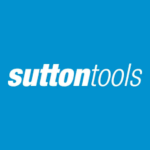 Allowing our customers to see which tools we usually stock and the sizes. Some of our tooling is made to order for example some Left handed tools. The brochure also demonstrates the range of tools manufactured in PCD, TCT and HSS. Prima Tooling also offer our bespoke tooling option and the brochure includes examples of bespoke tooling made.